David Lazar | Pen Parentis Literary Salons | Parenting Done. Write. I write Poetry, Creative Nonfiction, Other. Originally from Brooklyn, I currently live in Chicago. I am also a parent. 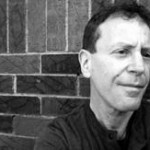 David Lazar’s books include Occasional Desire from the University of Nebraska Press, The Body of Brooklyn and Truth in Nonfiction (both Iowa), Powder Town (Pecan Grove), Michael Powell: Interviews and Conversations with M.F.K. Fisher (both Mississippi). Forthcoming are Essaying the Essay from Welcome Table Press and After Montaigne from the University of Georgia Press. His essays and prose poems have appeared widely in anthologies such as Blending Genres, Understanding the Essay, Metawritings: Toward a Theory of Nonfiction, Sentence’s An Introduction to the Prose Poem and The Rose Metal Press Field Guide to Prose Poetry, and magazines such as Gulf Coast, Black Clock, Sentence, Denver Quarterly, Best of the Prose Poem, and Southwest Review. Five of his essays have been “Notable Essays of the Year” according to Best American Essays. He created the undergraduate and Ph.D. programs in Nonfiction Writing at Ohio University, and directed the creation of the undergraduate and M.F.A. programs in Nonfiction Writing. Bending Genres, ed. Nicole Walker and Margot Singer: “Queering the Essay,” Continuum Books, 2013. Understanding the Essay, ed. Jeff Porter and Patricia Foster, “Queering Charles Lamb and the Essay: ‘New Year’s Eve,’” Broadview Press, 2012. Metanonfiction: Towards a Theory of Nonfiction, Ed. Jill Talbot: “On Dating,” forthcoming University of Iowa Press, 2012. Aspects of Robinson: Weldon Kees. Ed. Christopher Buckley: Prose poem, “A Face in the Crowd,” and short essay, Back Waters Press, 2011. EssayDaily.com: “David Lazar on the Recent Proliferation of Nonfiction Anthologies,” August 18, 2013. EssayDaily.com: “David Lazar in Conversation with Robert Burton, author of Anatomy of Melancholy,” September 30, 2013. Theconversant.org: “A Conversation with Mary Cappello.” Forthcoming November, 2013. Antioch Review: “Playing Ourselves: Pseudodocumentary and Persona,” Spring 2013. Denver Quarterly: “The Stranger on K Street,” and “At a Diner Near Thebes,” Summer 2012. The Laurel Review: “Haemon’s Song,” “Hard Nox,” and “Fortuna,” Summer 2012. Sentence: “When the Clouds Came to Town,” Winter 2011. Seattle Review, special issue, “Death,” Edited by David Shields: “Death, Death, Death, Death, Death,” summer 2010. Black Clock: “Aside.” Fall 2009. American Book Review: Essay-Review on Memoir, Fall, 2009. Fourth Genre: Teaching the Classical Essay: Roundtable with Patrick Madden, Shannon Lakanen, Desirae Matherly, forthcoming Winter 2008. “Tell Me What You’re Thinking,” Winter 2008. The Laurel Review: “On Canal,” Summer 2007. Best American Essays: Notable Essays of the Year–5 times.